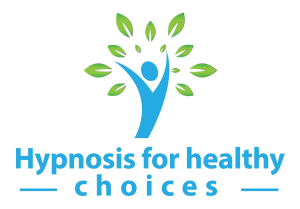 "I came across Maggie Howell when I was looking for a hypnosis track for childbirth. Listening to the Hypnosis for childbirth and the Labour companion made my third labour a truly unique and wonderful experience... Natal hypnotherapy rules. Not being able to listen to the CD after the birth, however, left a big gap in my life. I missed her soothing voice, the truly calming music and the wonderful, revitalised and relaxed feeling I used to have when waking up from the hypnotic sleep. I was over the moon when I found her Relaxation CD. Listening to it was like coming home after a long journey. Like her stroking my forehead and helping me to relax. "I initially used the [Natal Hypnotherapy] for birthing CD and thought it was fantastic so bought this one for more general use. This one is about 30 mins in length so much shorter then the pregnancy one and although I was initially disappointed by this, actually the shorter length makes it much more useable and useful. Contains some excellent techniques which are memorable and that I find myself using during particularly busy or stressful days. Would recommend it 100%. Give it a go!" "This is certainly one of the better relaxation cds. well worth having to use as a calming too"